This pink-colored oval Bridesmaid pin is great for wearing at the shower or during a night out with the wedding party. 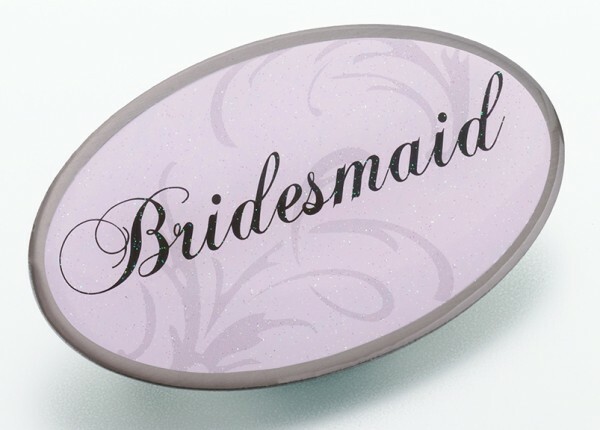 The 2.5" x 1.5" pin is made of epoxy and is decorated with glitter, scrolls and the word "Bridesmaid." Also available in Bride, Maid of Honor, Mother of the Bride and Mother of the Groom.